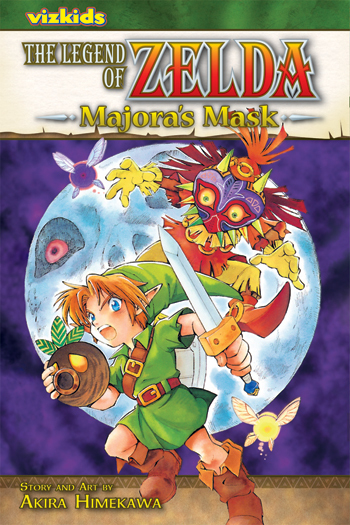 Majora’s Mask English Manga Cover Revealed. Hi I’m Matthew, otherwise known as Lefty, or lftenjamin. I’m the newest addition to the ZI staff. I am very happy to be working for a such an amazing site as this, and I hope I can serve you viewers well. With the second chapter of the Ocarina of Time manga already announced, it was only a matter of time before Majora’s Mask would follow, and the cover has been revealed! Seeing as how Majora’s Mask is my favorite Zelda game. I am really excited about this, and am definitely looking forward to this!